We’ve been around since 1989 and we’re Rochdale’s finest Outdoor Activity centre. We operate on Hollingworth Lake located in Rochdale, Greater Manchester. With good access to the motorway we see people visit us from lots of places including Manchester, Lancashire and Yorkshire. Check out our Centre Guide and digital Schools Brochure for more information. Click on the links below to view a series of FAQs on a wide range of topics that we get asked here at the Centre. Gift vouchers are a great present that can be used on all of our activities and sessions, please call us on 01706 370499 or visit us at the centre to buy them. I have some concerns about my health and outdoor activities - what should I do? Please seek professional medical advice before attending. Can I launch my own boat? Please call us to check on 01706 370499 during office hours. You will need a day or annual permit which can be bought at Reception. We will need to see 3rd party insurance. Some National Governing Bodies like the Royal Yachting Association and British Canoeing will provide it but please check with them directly, this is up to you to check. Can I hire a boat/equipment? To hire a boat we ask that you have a minimum Level 1 qualification or have had a direct assessment from one of our instructors, we are more than happy to provide this and it will need to be booked directly on 01706 370499. The activity centre caters for all age groups starting with 4-6 year olds through our mini splash sessions. 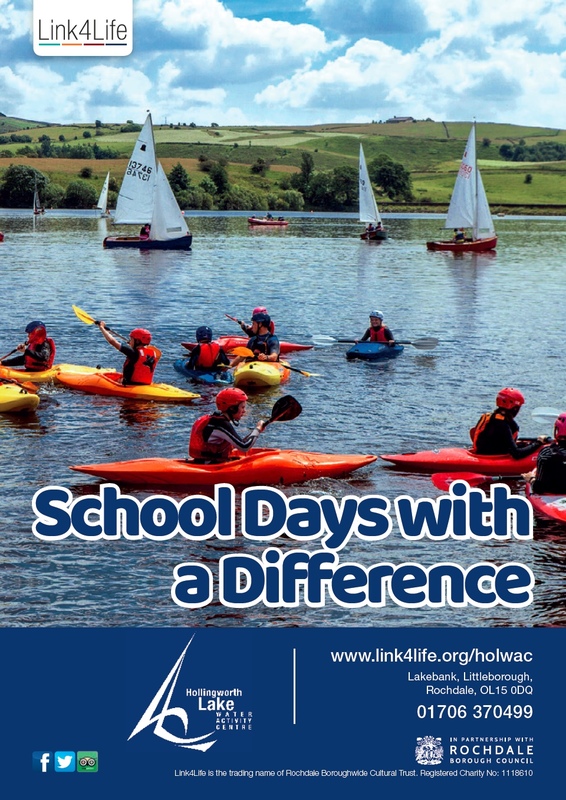 From 6 years onwards we have different sessions available both on the water and on land either here at Hollingworth Lake or during our after school programs. From 16 years onwards we cater for adults on all of our Open Sessions, Tasters and Courses including Instructor Courses available with us. What groups visit the Activity Centre? Hollingworth Lake Water Activity Centre caters for a wide variety of groups, from schools, uniform groups like Scouts, Cadets, birthday parties, and freindship groups. We are also set up to work with disability groups with a wide variety of options . Can I take a rowing boat out? These are weather dependent - please call us on 01706 370499 to check availability. I can’t find a course date that fits into my schedule - what can I do? If you can’t make a date for a course we offer 1:1 or 2 people to 1 instructor sessions with an instructor who will work with you at your pace to gain a qualification, please call us on 01706 370499 to arrange this. What other facilities are there at the centre? We are a fully accessible Centre with hoists, changing facilities and toilets. As part of Link4Life policy we welcome breastfeeding parents and children. We do have a small number of lockers in the Centre but any valuables can be stored with us behind the desk. We do not take responsibility of any personal equipment. There is a Council owned Pay and Display car park that you can use, please arrive with enough time to find a parking space. Around the area there are a number of cafes and restaurants available to get something to eat or drink. For all water based activities you will need swimwear, a towel and a pair of shoes that you don’t mind getting wet. We provide wetsuits. For dry activities you will need suitable clothing for being outside or inside depending on the session.